Air New Zealand is looking to bolster its frequent flyer ranks by raiding the Gold-grade ranks of competing airlines with the promise of an instant status match to its Airpoints Gold / Star Alliance Gold tier. The Kiwi airline's 'Touch of Gold' promotion is limited to residents of Australia and New Zealand, and no doubt is another salvo in the stoush between AirNZ and former-beau-turned-foe Virgin Australia – although Qantas frequent flyers are also eligible to apply for the status match. It's a generous status match, running for six months instead of the usual three and including a 'status challenge' component to extend your newly-minted Gold status to a full year. Here's what you need to know about Air New Zealand's Touch of Gold status match and status challenge. 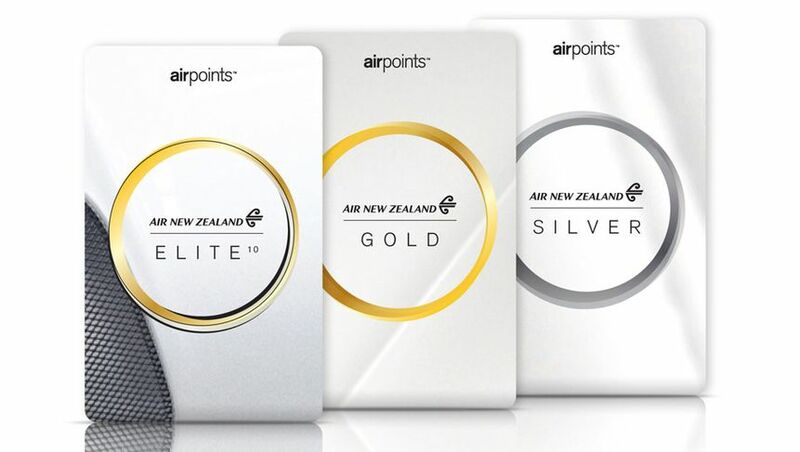 As mentioned earlier, you'll need to live in Australia or New Zealand and of course already be a member of Air New Zealand's Airpoints loyalty program (with your Australian or New Zealand residential address listed on your Airpoints account). You'll also need to hold Gold or higher status with another airline – the only exceptions are that it can't be another Star Alliance member (such as Singapore Airlines) or Cathay Pacific (due to AirNZ's partnership with Cathay Pacific on Auckland-Hong Kong flights). This obviously puts Qantas and Virgin Australia in the promotion's gold-plated crosshairs, along with the likes of Emirates and Etihad Airways. We suggest also including a scanned copy of a recent activity statement showing your flying pattern, especially on trans-Tasman services, to help assure Air New Zealand that you're a legit and Gold-worthy traveller rather than somebody looking to line his or her pocket with another shiny frequent flyer card. Air New Zealand says that applicants for the Touch of Gold promotion will hear back without 10 business days – and as always, acceptance (nor otherwise) is at the airline's discretion. Assuming you pass muster, here's what you get. Right off the bat, the Touch of Gold status match gifts you six months of gratis status at Air New Zealand's Airpoints Gold tier, which is equivalent to Star Alliance Gold. This immediately unlocks Gold-grade benefits across all Star Alliance partner airlines: a solid roster which includes Singapore Airlines, United Airlines, Thai Airways, Air Canada, ANA, Lufthansa and Swiss. You can look forward to some very practical perks such as airport lounge access, priority check-in and boarding and a boosted baggage allowance. Air New Zealand also sweetens the pot with two free business class upgrades on flights between Australia and New Zealand (the Kiwi carrier calls these 'short-haul recognition upgrades'), free seat selection, one extra bag on all fares which include a bag (this obviously excludes the cheapest seat-only fares) plus priority waitlisting and standby at the airport. The Touch of Gold promotion also comes with the option to extend your Airpoints Gold status by earning just 450 status points instead of the usual 900. As soon as your Touch of Gold application is approved your Airpoints account will sprout an instant 450 status points, putting you halfway towards the 900 status points usually needed to earn or retain Gold. You'll have the fill six months of your temporary Touch of Gold status to earn those status points. If the bulk of your potential Air New Zealand travel is across the pond, you'll be looking at anywhere from 7-107 status points on a Sydney-Auckland, Melbourne-Auckland or Brisbane-Auckland flight depending on your class of travel and fare type. Assuming you typically opt for a flexible economy Seat+Bag fare, that'll land you between 35 and 83 status points – so that's six return trips at the cheapest fare or four return trips at the highest fare category. If you fly with Air New Zealand from Australia to any of its US mainland destinations (Los Angeles, San Francisco or Houston) in business class you'll be good for Gold with one return trip. It's also worth noting that you can earn those Status Points with fellow Star Alliance airlines and some other partner airlines – so if you've got a Singapore Airlines flight coming up, consider adding your Airpoints frequent flyer number into the SQ booking to edge you closer to a year of Gold. It is always great to see a status match promo, especially one as useful to Australian biz travellers as AirNZ - so great news for aussie FFs and many will benefit. But - as a former AirNZ *E for many years (at one point one of “Fyfe’s 100” for those in the know) - I wouldn’t want to be an Airpoints member today. I feel the program is poor value, now relying heavily on AirNZ’s dominant position in NZ and monopolies / tie ups on major routes out of NZ - i.e. it’s geared towards a captive NZ audience who don’t have much choice. For those of us in Australia who have lots of choice, Airpoints has relatively low earn levels, relatively high redemption costs esp for long haul premium tickets, and a fairly opaque upgrade bidding system - all uncompetitive when compared with Qantas, Virgin and Singapore Airlines. Add to that weak credit card options and no ability to buy Airpoints dollars. So thank you AirNZ for the status match promo - but along with a touch of gold I think you need to bring a touch of competitiveness back into Airpoints if you really want to compete and retain more Australian frequent flyers, longer term. I think the upgrade certificates can be used as 1 class single sector upgrades on long haul flights? As in from PE to Business or Economy to PE from AKL to USA. Nice perk that. Great Points Zac - nailed it! Only thing I will add is - yes, you can buy Airpoints Dollars, with one credit card in NZ (KiwiBank). But only worth it for small top-ups, or for partner redemptions. You don't have to give up VA P tho, use the NZ gold benefits when flying where VA benefits aren't available, ie most places on NZ flights after the split. Is this an 'offer' and valid for a certain period time before requesting one? If I am not currently an airpoints member, can I sign up and then apply or did I need to be a member prior to them announcing this? You can sign up right away and apply right away. I applied a few days ago and was approved and activated in about 5 hours (from VA gold). Will be great later in the year when the VA-NZ alliance ends as I do a number of NZ trips each year and prefer to fly NZ. The short haul RU's are a nice bonus too - and will take you from economy to business premier on east coast TT routes (where they are flying a widebody). Will be lodging one for my MEL-AKL flight later this month. Hi David, if I may ask when does the first day of the six month membership start? And how long does it take Air Newzealand to process the application? Thank you in advance. Thank you Ajobbins for your reply. It feels like VA is playing catch up with this break up. Just called VA and asked if they would be making the same offer. Reply - "we don't do that". Might have to wait a few months til their bookings drop and they decide to react. Where is the offer? Is there a webite to sign up to it? Thanks AusBT, signed up for this as a status match against Qantas and boom, two days later I was granted Gold with Air New Zealand. This will be very handy for travel within NZ, ans I like the two free business class upgrades. I should be able to make Gold for 12 months under the 'status challenge' so this will be a very handy card to have in my wallet! Hi - apologies this is slightly off topic, however does anyone know of the ability to status match within the same Alliance i.e. Oneworld QF > CX for example? For those who have achieved this, did you send through a statement of travel or just a copy of your VA card? So my partner is VA Platinum. We don’t tend to use AirNZ but would Singapore. What’s the benefit of her getting the status match? We’re actually flying to Singapore on SA on Friday so maybe just do it so we get the status credits under this. Bozman: benefits of Star Gold applicable across all star Alliance airlines include lounge access even when flying economy (nice lounges outside of Singapore, but SQ's SIN T3 'Gold' lounge is rather dire), a more generous baggage allowance etc, but Friday might be pushing things as you'd need to be approved for Touch of Gold before your status-earning flight. For the 450 status points to extend gold for +1year does one need to fly one or several segments on AirNZ or can it be covered by any *A partner (e.g. flying only on LH, SQ, UA, etc)? As explained in the article, "It's also worth noting that you can earn those Status Points with fellow Star Alliance airlines and some other partner airlines"
Thanks a lot. I was more referring to if NZ has same rule as QF where you have to fly sectors on its airline’s own metal in order to reach/ extend gold. Some airlines do have this rule (like QF, UA) some airlines don’t have it (eg OZ). Reformulating the question: can one extend the +1y gold with this promotion by not flying a single AirNZ flight (ticket/metal), but on solely other *A partners? Johnny9: yep, AirNZ gifts you the first 450 status points but the next 450 needed top get to legit Gold (beyond the trial) can be fully earned on any Star Alliance member. We’ve signed up. Not looking to use it before our flight on SA tomorrow night, but if we earn status credits on our flight tomorrow, and the increase in Airpoints status to gold hasn’t yet been processed, those earned credits will still count towards the 450 req to keep Gold for a year won’t they? Bozman: should your application be successful and are notified before flying with Singapore Airlines quote the Airpoints membership number at check-in (online or at airport). After check-in or possibly boarding it's no good. I guess David will confirm this. Good luck. Thanks. I understand I can’t apply status credits after I’ve boarded, but if I put my new Airpoints membership number in now (while still basic - Bronze? ), and the status credits are applied to the account, if I’m upgraded to Gold next week, these status credits will still count towards the 450 I need to keep Gold for 12 further months? Bozman: it's possible that you may need to be accepted for the promo before you can add the status credits to extend Gold to 12 months. Reading the T&Cs there's no mention of this but I suspect that's how the promo works. Applied 4 days ago, confirmed receipt but nothing else yet, strange asothers got advised quickly? I'm the same as PerthtoParis, applied 4 days ago and no response except for acknowledgment of application. I'm Qantas Platinum with more than enough travel but to Singapore and area. Looking at the quick approvals above maybe Air NZ is looking at Virgin Plat members more? Or those who travel to NZ on a regular basis. I'll see what comes down the line. I am VA Gold and got approved same day - however that was a week ago, before this was widely reported on in AU. I suspect they probably just now have a large backlog to work through. Any other QF Golds still waiting to hear? Been only three days since I provided my last 6 months travel log, scan of my gold card and airpoints#...could it be a backlog?? I'm a QF Gold too and sent my details in on 12th Sept. Haven't had a "promotion now closed" message, so hopefully they're still working through the backlog. Does this confer any more benefits that Qantas Gold etc. would get after 28 October 2018? Automatic Reply: Thank you for your interest in the Airpoints™ programme. The Touch of Gold promotion has now closed and no further applications are being accepted at this time. Mine came in this morning. Mine came in after 5 business days. Provided my VA Gold card and a screen shot of my VA personal details. They did not ask to see activity statement. No activity statement form me either but if you are Gold + then you must have done some travelling. I have two pet peeves about Air NZ; no afternoon flights Wlg-Mel, and no business class to anywhere from Wellington. Unfortunately I just went to redeem and the promotion is closed. I applied (Platinum) Tuesday 11/9 sans travel record, just photo of velocity card. Heard nothing so followed up with an email Tuesday 18th. Still have had no email reply, but today noticed my airpoints is at gold. Like @Brassy, mine also just came through (applied on 12th Sept). No email confirmation, but noticed I was updated to Gold when I checked the app :) Expires end of March 2019. I applied on 12th Sept. heard nothing back other than an automated response until today when I got an email stating that I was now Airpoints Gold! Successfully applied for the match, now have until 29/03/2019 to earn 450 points. I am travelling Business class to the US (Chicago via LA), looks like United Airlines from Melbourne (set by work policy - cheapest). Obviously, in this instance, I would use my Airpoints™ number for this this to start earning status points and access the Air NZ International lounge in Melbourne. My question is, due to this being a United flight, should I apply for the United Gold status match and use this, or are the points earned the same? Comment on "AirNZ offers Star Alliance Gold status match to Qantas, Virgin flyers"